Today was the first day of official practice for Division 1 College Baseball. Luckily, The Team of the North enjoyed 58 degrees and sunny weather in Bloomington. 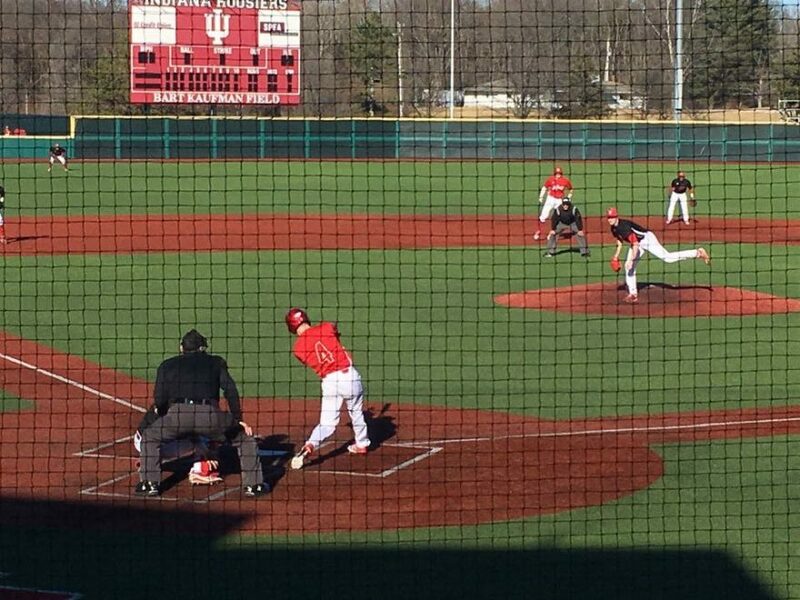 That kind of weather meant Hoosier Baseball was able to scrimmage outside at The Bart. As expected on the first day, there was some good, some bad, and a look at some new faces to the team. As far as the new comers go, RHP Connor Manous (#27) showed a nasty curve and got out of jam leaving runners on, 1B Elijah Dunham (#21) got a big RBI hit for the Red Team and OF Logan Kaletha (#11) had a few big hits and showed off his wheels. Second base has been a question because of Tony Butler’s departure. Today Cade Bunnell (#4) was playing 2B for one team and Matt Lloyd manned 2B for the other. First base has also been a question. Today Scotty Bradley played for one team and Elijah Dunham for the other. Ryan Fineman did Ryan Fineman things. A big homerun off Saalfrank that bounced off of the scoreboard and he backpicked a runner of off first base that had to big of a lead. On the other side, there was some questionable base running, some errors and some strikeouts with RISP. Just getting a chance to practice outside at The Bart on January 26th has to be considered a victory for The Team of the North today. Previous Post:From The Seats At The Bart – T.C. Thank you guys so much for the coverage. It is extremely frustrating as an out of town fan to see no effort whatsoever from the program or the athletic department to provide any information on the team. 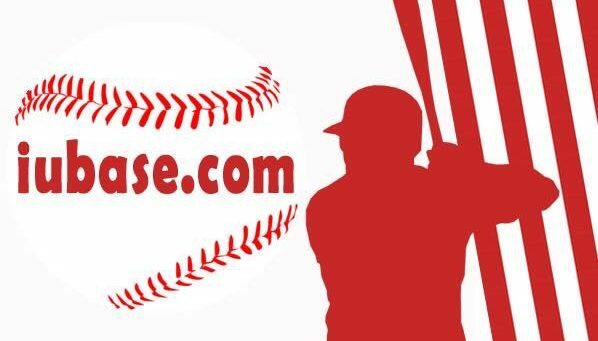 3 weeks out from the start and no roster, no even basic update on position depth, pitching depth, new faces to watch, season outlook from the baseball program. I’m left to do the work and speculate with my buddies, that’s pathetic. Good money has been put into facilities, national profile was lifted during Smith’s run, top 25 pre-season ranking and coaches and department can’t be bothered to put out literally any updates. If I wasn’t such a big fan I wouldn’t give this program the time of day. It shows a real lack of respect,to a great degree, to folks who want to follow them. They want the fans and support but do nothing to earn it. Treating it like a club sport. Again, thank you guys for your effort. By the way, who are Dunham, Bunnell, Kaletha and Manous? I have no information. Couldn’t agree with you more Dave. That’s why we are doing what we are doing! The coaches have nothing to do with treating it as a “club sport”, and I’m pretty sure they are as frustrated with the lack of exposure as we are! Kaletha (CF) and Bunnell (2B) are JC transfers, that will both start. Manous (SP) and Dunham (1B) are freshmen that will play a significant role this season. We will have a Podcast up soon that may give some more information. Thanks for your support, and comment! Great work. I agree with Dave. It’s been very disappointing to see the lack of information provided by the program / athletic department. To not even have an announcement for the kids that signed with IU for next year recently was ridiculous. They deserve a little fanfare. No official. roster at this point on the website at this point. Is that just being lazy or are they still at the point of cutting / finalizing the roster? You would think this close to the beginning of the season they would have it knocked down. Thanks for the work you do on this site! Looks like Lemonis has a lot of talent to work with. If the pitching improves, they should have the hitting to compete with the best teams in the non conference schedule. I’m interested to see what the young pitchers Sommer, Eaton, and Manous can provide this year. Thank you for your feedback! And to reiterate what I told Dave, the very things you are frustrated with, is why we are doing this (as fans)! Please do not be mad at the program. Unfortunately in the B1G football and basketball are the only things that make money for the schools (baseball for us is on the verge though, which could change things). We are trying to keep tabs on the signings with our future hoosiers tab, and agree that it is a shame they aren’t recognized. In the SEC or ACC baseball signings would be treated as the BB or FB. Pretty sure they have made cuts and know the roster. Check out our latest posts. We are releasing a by class series. Juniors should be out tomorrow! The pitching should be a strength this year, and the offense will be fine! Coach finally has his guys in here, and with experience! Should be a great year! I am a great Hoosier baseball fan from Minneapolis. I loved it when the BIG tournament was held at Target Field. I search this board quite often for any info I can get. I especially appreciate Snowden’s posts. He seems like a real fan! We love the all work S Nowden puts in for all IU sports on the Peegs forum! He truly bleeds crimson!